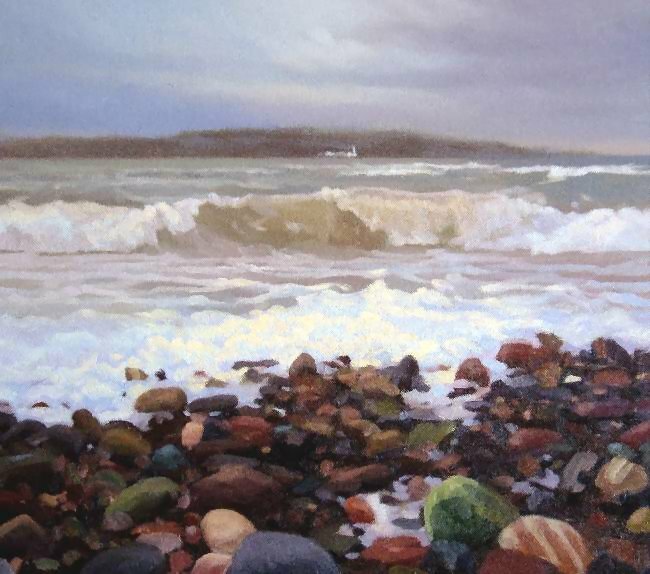 A study of a wave caught in sunlight and the pebble beach along the front in Broughty Ferry. Scotcraig lighthouse in the distance. Painted over a preliminary pencil drawing to keep the main shapes tight and well defined.